Boring Counties Served - Directional Boring, Inc.
Directional Boring Inc. provides directional boring, horizontal auger boring and tunneling contractor services to counties across the US. 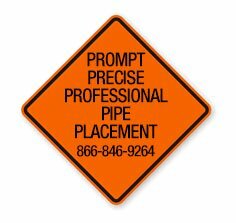 We offer county service either directly or through our various partnerships depending on each county’s market conditions and resource availability. 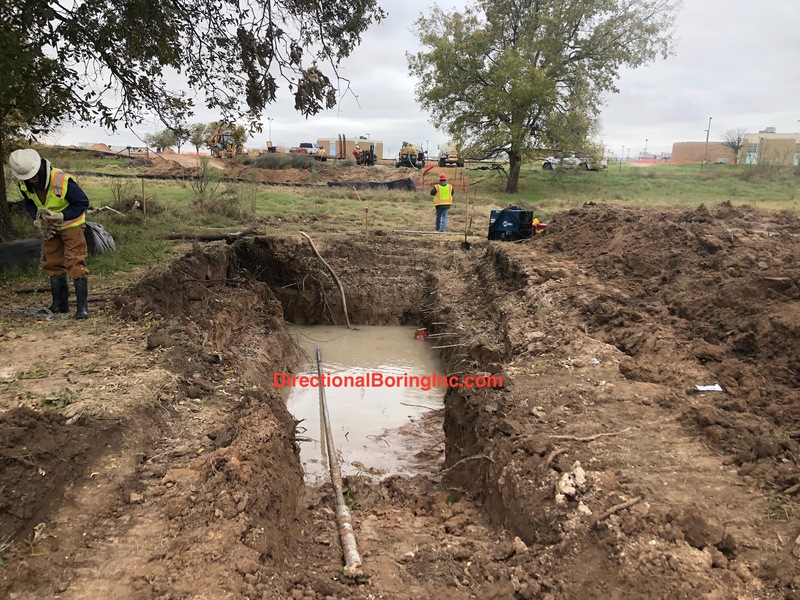 Directional Boring Inc. auger boring, horizontal directional drilling and trenchless underground HDD construction teams can complete county government utility crossings on time and within budget. Directional Boring Inc. services are available under numerous United States government contract vehicles through our affiliates via SBA 8(a), Certified Service Disabled Veteran Owned Small Business (SDVOSB) and others. Adams County, CO Directional Boring Inc.
Alameda County, CA Directional Boring Inc.
Allegheny County, PA Directional Boring Inc.
Anne Arundel County, MD Directional Boring Inc.
Arapahoe County, CO Directional Boring Inc.
Baltimore County, MD Directional Boring Inc.
Bergen County, NJ Directional Boring Inc.
Bernalillo County, NM Directional Boring Inc.
Bexar County, TX Directional Boring Inc.
Brevard County, FL Directional Boring Inc.
Bristol County, MA Directional Boring Inc.
Bronx County, NY Directional Boring Inc.
Broward County, FL Directional Boring Inc. Bucks County, PA Directional Boring Inc.
Camden County, NJ Directional Boring Inc.
Chester County, PA Directional Boring Inc.
Clark County, NV Directional Boring Inc.
Cobb County, GA Directional Boring Inc.
Collin County, TX Directional Boring Inc.
Contra Costa County, CA Directional Boring Inc.
Cook County, IL Directional Boring Inc.
Cuyahoga County, OH Directional Boring Inc.
Dallas County, TX Directional Boring Inc.
Dane County, WI Directional Boring Inc.
Davidson County, TN Directional Boring Inc.
DeKalb County, GA Directional Boring Inc.
Delaware County, PA Directional Boring Inc.
Denton County, TX Directional Boring Inc.
Denver County, CO Directional Boring Inc.
District of Columbia, DC Directional Boring Inc.
Douglas County, NE Directional Boring Inc.
DuPage County, IL Directional Boring Inc.
Duval County, FL Directional Boring Inc.
El Paso County, CO Directional Boring Inc.
El Paso County, TX Directional Boring Inc.
Erie County, NY Directional Boring Inc.
Essex County, MA Directional Boring Inc.
Essex County, NJ Directional Boring Inc.
Fairfax County, VA Directional Boring Inc.
Fairfield County, CT Directional Boring Inc.
Fort Bend County, TX Directional Boring Inc.
Franklin County, OH Directional Boring Inc.
Fresno County, CA Directional Boring Inc.
Fulton County, GA Directional Boring Inc.
Greenville County, SC Directional Boring Inc.
Guilford County, NC Directional Boring Inc.
Gwinnett County, GA Directional Boring Inc.
Hamilton County, OH Directional Boring Inc.
Hampden County, MA Directional Boring Inc.
Harris County, TX Directional Boring Inc.
Hartford County, CT Directional Boring Inc.
Hennepin County, MN Directional Boring Inc.
Hidalgo County, TX Directional Boring Inc.
Hillsborough County, FL Directional Boring Inc.
Hudson County, NJ Directional Boring Inc.
Jackson County, MO Directional Boring Inc.
Jefferson County, AL Directional Boring Inc.
Jefferson County, CO Directional Boring Inc.
Jefferson County, KY Directional Boring Inc.
Johnson County, KS Directional Boring Inc.
Kane County, IL Directional Boring Inc.
Kent County, MI Directional Boring Inc.
Kern County, CA Directional Boring Inc.
King County, WA Directional Boring Inc.
Kings County, NY Directional Boring Inc.
Lake County, IL Directional Boring Inc.
Lake County, IN Directional Boring Inc.
Lancaster County, PA Directional Boring Inc.
Lee County, FL Directional Boring Inc.
Los Angeles County, CA Directional Boring Inc.
Macomb County, MI Directional Boring Inc.
Maricopa County, AZ Directional Boring Inc.
Marion County, IN Directional Boring Inc.
Mecklenburg County, NC Directional Boring Inc.
Miami Dade County, FL Directional Boring Inc.
Middlesex County, MA Directional Boring Inc.
Middlesex County, NJ Directional Boring Inc.
Milwaukee County, WI Directional Boring Inc.
Monmouth County, NJ Directional Boring Inc.
Monroe County, NY Directional Boring Inc.
Montgomery County, MD Directional Boring Inc.
Montgomery County, OH Directional Boring Inc.
Montgomery County, PA Directional Boring Inc.
Montgomery County, TX Directional Boring Inc.
Morris County, NJ Directional Boring Inc.
Multnomah County, OR Directional Boring Inc.
Nassau County, NY Directional Boring Inc.
New Castle County, DE Directional Boring Inc.
New Haven County, CT Directional Boring Inc.
New York County, NY Directional Boring Inc.
Norfolk County, MA Directional Boring Inc.
Oakland County, MI Directional Boring Inc. Ocean County, NJ Directional Boring Inc.
Oklahoma County, OK Directional Boring Inc.
Onondaga County, NY Directional Boring Inc.
Orange County, CA Directional Boring Inc.
Orange County, FL Directional Boring Inc.
Palm Beach County, FL Directional Boring Inc.
Pasco County, FL Directional Boring Inc.
Passaic County, NJ Directional Boring Inc.
Philadelphia County, PA Directional Boring Inc.
Pierce County, WA Directional Boring Inc.
Pima County, AZ Directional Boring Inc.
Pinellas County, FL Directional Boring Inc.
Plymouth County, MA Directional Boring Inc.
Polk County, FL Directional Boring Inc. Prince Georges County, MD Directional Boring Inc.
Providence County, RI Directional Boring Inc.
Queens County, NY Directional Boring Inc.
Ramsey County, MN Directional Boring Inc.
Richmond County, NY Directional Boring Inc.
Riverside County, CA Directional Boring Inc.
Sacramento County, CA Directional Boring Inc.
Salt Lake County, UT Directional Boring Inc.
San Bernardino County, CA Directional Boring Inc.
San Diego County, CA Directional Boring Inc.
San Francisco County, CA Directional Boring Inc.
San Joaquin County, CA Directional Boring Inc.
San Mateo County, CA Directional Boring Inc.
Santa Clara County, CA Directional Boring Inc.
Sedgwick County, KS Directional Boring Inc.
Shelby County, TN Directional Boring Inc.
Snohomish County, WA Directional Boring Inc.
Sonoma County, CA Directional Boring Inc.
Spokane County, WA Directional Boring Inc.
St Louis County, MO Directional Boring Inc.
Stanislaus County, CA Directional Boring Inc.
Suffolk County, MA Directional Boring Inc.
Suffolk County, NY Directional Boring Inc. Summit County, OH Directional Boring Inc.
Tarrant County, TX Directional Boring Inc.
Travis County, TX Directional Boring Inc.
Tulsa County, OK Directional Boring Inc.
Union County, NJ Directional Boring Inc.
Utah County, UT Directional Boring Inc.
Ventura County, CA Directional Boring Inc.
Volusia County, FL Directional Boring Inc.
Wake County, NC Directional Boring Inc.
Washington County, OR Directional Boring Inc.
Wayne County, MI Directional Boring Inc.
Westchester County, NY Directional Boring Inc.
Will County, IL Directional Boring Inc.
Williamson County, TX Directional Boring Inc.
Worcester County, MA Directional Boring Inc.